Childrens' Author - Speaker - Workshopper - All-round bucket of fun! 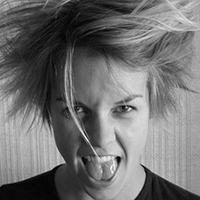 NAT AMOORE is a Sydney-based writer who is passionate about encouraging kids to read and write and explore their imagination without boundaries. 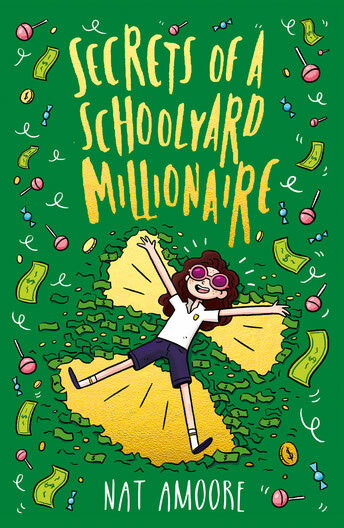 Her first middle grade novel 'Secrets Of A Schoolyard Millionaire' is coming out with Penguin Random House in June 2019. Nat has completed multiple courses at the AWC and NSWWC. She is a member of two different writers’ groups full of inspiring peers and multiple published writers and a member of SCBWI. Nat's debut middle grade manuscript was awarded 3rd place at the CYA Conference in 2016. At this year’s CYA, she placed 1st & 2nd in the Picture Book category and 2nd in Chapter Books for younger readers. She was a recipient of the CBCA Maurice Saxby Creative Development Program for 2018 and is a proud Role Model for Books In Homes. Nat is represented with literary agent, Brian Cook at The Author's Agent. 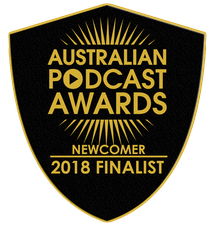 One More Page has already had over 18,000 downloads and was a finalist in the ‘Best Newcomer’ category for the 2018 Australian Podcast Awards. 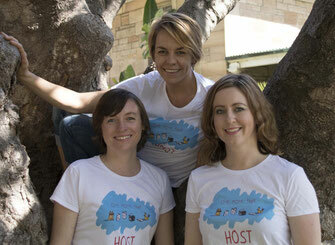 The podcast has featured in publications such as Books+Publishing, Buzz Words, SCBWI AUS&NZ Newsletters and blogs. Nat's writing career began with writing for screen. She has a feature film script & kids' TV series in development with Azure Productions and was writer & director on international award winning short film Elemenopee starring 'Revolution' actor David Lyons. 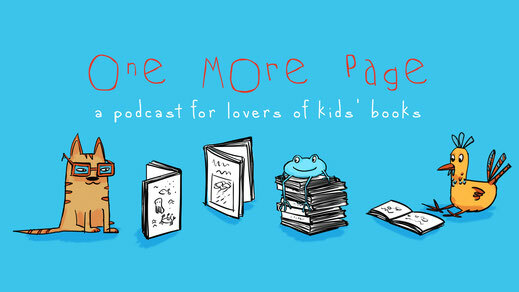 Want to know more about One More Page podcast? Of course, you do, it's pretty awesome! It's all about kids' books with author interviews, prize giveaways and Nat leads a segment called Kids' Capers which is by the kids, for the kids. Check it out! Secret superpower: Making up stuff. Not lying, that is different. Making up stuff, on the spot, that everybody believes and sometimes gets me things I want. Not lying. Obsessed with: Laksa and writing down anything that pops into my head because I'm sure one day it will be 'my great work' even when the idea is oh so silly. Annoyed by: Restaurants that skimp on my vegetables and/or tofu in my vegetable and tofu laksas. Seriously guys...they're VEGETABLES! What you wanted to be when you grew up: Depended on the day of the week. Still does. What you got in trouble for at school: Never got in trouble. Never got caught. Favourite books as a kid: Everything by Paul Jennings or Gillian Rubenstein. Calvin & Hobbes, To Kill A Mocking Bird and anything where the character went from the real world to another world. And now: Hmmmm, kinda the above plus How To Bee, Roof Toppers, The Cardboard Palace and The Hat Trilogy.